The hospitality industry relies heavily on customer satisfaction. It’s always been that way, but decades ago word-of-mouth was a much simpler thing. If you ate a restaurant and liked it, you told a few friends and that was it. Today, the ever-increasing world of online review sites is empowering opinionated diners like never before. There are many aspects of your business over which you have complete control—your menu, your hours of operation, your website design, your ad campaigns—but when it comes to online reviews, you’re completely at the mercy of the public. That may sound scary, but in reality bad reviews are teaching moments and good reviews are more powerful than you can imagine. If you’re running any kind of business, it’s crucial to understand how persuasive reviews can be. A casual complaint about soupy ice cream isn’t very casual at all, and a rave about your mouthwatering Mohican tomahawk grass-fed ribeye could turn an undecided website visitor into tonight’s diner at table 22. A staggering 90% of consumers check out online reviews before they decided to visit a business. In terms of weighing other people’s input, 84% of consumers trust online reviews as much as a friend or family member’s personal recommendation. In 2014, just 29% of consumers formed an opinion after reading as little as one to three reviews. That number has since risen to 40%, indicating that online reviews are increasingly becoming the go-to source for consumer information. Every time a business’s Yelp rating jumps up a star, that business typically sees a 5 to 9% boost in revenue. Some 74% of customers trust local businesses more if they have positive reviews. This is no “everybody has an opinion” situation where you can afford to disregard the public’s feelings. The old adage that the customer is always right is outdated and definitely not true, but what businesses must realize is that the customers always needs to feel right. Learn to say no by saying yes. In other words, instead of telling a customer you’re out of ranch, suggest they dip their fries in your chef’s creamy chipotle aioli. Rather than arguing with a guest who says they’ve been waiting for appetizers for 20 minutes when it’s only been five, bite the bullet, apologize for the wait, and bring out a free order of your spinach and artichoke dip—you can easily recoup your food costs in what you’ll save by staving off a negative review. Above all, positive reviews benefit both guests and owners in that they give each group a chance to speak up and to be heard. For guests, reviews are their moment to shine as the town crier. For as long as that review hangs out on the internet and gets likes and comments from onlookers, the author is a part-time restaurant critic with some serious clout. That can feel really, really good. After all, there’s a reason Yelp Elite exists. But it’s not all about ego and the limelight—far from it. Reviewers also give fellow diners a glimpse into what they can expect when they eat at a restaurant or stay at a hotel. If someone has had a bad experience, they’re naturally driven to warn others so no one else has to spend a night on a lump bed or listen to construction noise for hours on end. If someone has a phenomenal experience, they want to make it possible for other people to have that once-in-a-lifetime anniversary date or sink their teeth into the tastiest antipasto platter in all the Berkshires. For business owners, reviews are an opportunity to get better, and that is literally priceless. Actually, you could probably put a price on it quite easily. Call up a company that organizes focus groups and consumer research and see how much it would cost to poll past and current customers to gauge how your staff is doing. You can get a similar picture just by skimming through online reviews and interacting with the people who wrote them. It’s also a far more personal approach, something your customers will appreciate. There’s no substitute for rapport. With good reviews promising fame and fortune (or at least a bustling dinner crowd and health P&L), it may be tempting to hire one of those firms that specializes in stuffing your online profiles with fake reviews or ask friends and family to wax poetic about your restaurant’s ambience and dessert list. First of all, and perhaps most importantly, fake reviews can be categorized as false advertising, and you don’t want the Federal Trade Commission to get wind of that. Secondly, customers can smell a fake review like the stink has dripped all over their laptop. Once that happens, you’ve lost the public’s trust and your reputation is damaged, sometimes for good. Fake reviews also paralyze your growth. You can’t learn from pay-for-play feedback. You can’t forge relationships with reviewers when those reviewers are robots or contractors just interested in making a buck. Lastly, the people that run review sites aren’t stupid. They’ve seen every scam in the book and they will shut you down so fast you’ll barely have time to clutch your pearls and gasp. Google tracks IP addresses; too many reviews from the same address and your business listing will be flagged. Yelp’s algorithm is just as sophisticated. Work hard to get real reviews. The ROI will be worth the effort. 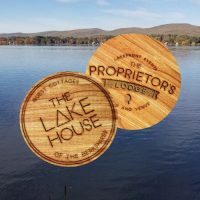 We created The Proprietor’s Lodge because we wanted to offer guests at The Lake House as well as Berkshire locals and other hungry passersby a place where they could enjoy great good, breathtaking scenery, and unparalleled hospitality. We work every day to achieve these goals, and nothing feels better than hearing that our guests are thrilled with their experiences. “Absolutely beautiful place! Food is fantastic, the service is outstanding! highly recommend!” – Heather B. “Highly recommend – beautiful venue with a variety of options. We had a terrific experience – friendly and prompt service with delicious food and cocktails. Thank you!” – Christie C.
“I would highly recommend this beautiful venue and my childhood friend Curt Robair who is one of the chefs here. This venue is not only beautiful it’s breathtaking. And I recommended it to my beautiful bridal clients as well!” – Justine C.
“We had a great experience. The dinner was wonderful, and our service was great.” – Joyce S.
“Really good people there at The Lake House. Wonderful food and great vibes and open culture.” – Jay K.
“Excellent place. Food is out of this world, staff is friendly and attentive. Great views and the atmosphere can’t be beat. Do not miss the hidden gem.” – Brian A. “Our anniversary dinner was perfect. I had the sea scallops and my husband hasdthe blackened swordfish-his favorite. The scallops were delicious and the salad bar was a plus. We will definitely be going back soon.” – Janice B. “Brunch was awesome…food excellent, the wait staff could not get anymore friendlier. This place is a class act!” – Bob D.
“Amazing food/drinks, beautiful atmosphere and very friendly staff! Will most definitely be back soon! (The lobster Mac & Cheese is to die for)” – Kristina W.
“Went there for Sunday brunch. It was fantastic. Prime rib ham omelets salads fruits waffles staff extremely friendly. The chef and manager were asking what else we would like to see on the menu. This place is a definite plus for this area.” – Jack P.
“Exactly what our area needed – beautifully remodeled, wonderful menu, great service, amazing meal (highly recommend the chateaubriand for two). We’ll be back.” – Traci B. So, the big question then is how does The Proprietor’s Lodge garner all these great reviews? What is it that makes people happy enough to sign into their Facebook account, leave feedback, and make a return visit again and again? Why do people choose to dine with us when they have so many other options? In many ways, the reviews above speak for themselves, but there are a few things we’ve made part of our steps of service to keep the positivity coming. For starters, we don’t take anything for granted. We’re always looking for ways to get better, which is why we take the time to ask our customers what they’d like to see on our menu. “Touching the table”, or dropping by to chat with guests as they dine, is a phenomenal way to be present and make yourself available for feedback in the moment. Rather than leaving customers alone, which can lead to bottled-up feelings that later explode online in a torrent of frustration, stop by, say hi, and ask how things are going. Leave space for a response and pay a lot of attention to body language and tone. A curt “fine” means things really aren’t fine. A long pause is a warning sign as well. On the other hand, relaxed shoulders, big smiles, and empty plates usually indicate you have a table full of happy guests. Next, we emphasize authenticity. That word can mean a lot of different things to different people, but to use authenticity is simply being genuine. No putting on airs, no make-believing we’re better than the people we’re there to serve, no trying to gloss over a problem because we don’t want to admit we made a mistake. We own it, we apologize for it, and we fix it, and along the way we stay humble because we always—always­—have more to learn. Whenever you can, respond to reviews. Oprah once said, “Everybody just wants to be heard. Validate them. ‘I see you. I hear you. And what you say matters to me.’” An angry customer can often be calmed down with a concise apology and an offer to make it better, whether that entails a refund, a free entrée, or an invitation to sit down and discuss the problem face to face. A happy customer loves to revisit their special day. Let them know you appreciate their compliment and you’re ecstatic their birthday dinner was everything they hoped it would be. Hospitality takes practice, but with online reviews shaping the guest experience more than ever before, it’s vital that businesses put in the effort to earn real reviews that really matter. To see The Proprietor’s Lodge so loved by our reviewers above, check out our Facebook page or call (413) 344-9546 to make a reservation.